“It’s a dogs life,” some people reckon, yet I can’t help but notice the irony as I observe Animal Control Services field officer Barbara Slade approach this wretched mongrel. The large brindle dog, chained to the fence of a suburban Auckland property, is nothing more than a prisoner – one that has most probably committed no crime either. The animal has water, and a scattering of shade, but that is all. The narrow alley between the house and the fence, and the 2-metre length of chain hanging from its neck, is this dog’s cell. The grass has been worn down to a dusty patch of bare earth by constant pacing and flies swarm over the piles of sun-hardened faeces. The dog has clearly become accustomed to the insects as they crawl freely over its face and around its ears. Despite the initially ominous barking and the dog’s daunting size it quickly relaxes around Slade – the cordiality helped by her 12 years experience in dealing with strange dogs and, the field officers’ secret weapon, tasty treats. A neighbour had called Animal Control Services the evening before to complain about the dog’s barking. It is midday when we arrive and though the animal’s owner isn’t home it gives Slade a good chance to cast an expert eye over the dog’s condition and behaviour. Ten minutes later, a note and calling card are left in the letterbox and we are on our way to the next callout. Despite the poor environment, the dog was apparently in reasonable health. There is no broken skin so the chance of fly-strike is slim and it is adequately nourished. But Animal Control Services will be back to this address. There is still the issue of the barking – “a common cause of boredom,” I’m informed. Slade will offer the owner advice about exercising the pet and how to help it to stop annoying the neighbours. As an avid dog-lover, Slade is clearly not happy with the animal’s treatment but there are no grounds for its removal. If its condition was bad enough, the SPCA would be called but this time it’s more a case of her feeling sorry for it. Besides, “I’ve seen them in a lot worse states,” she laments. There isn’t a great deal of time for Animal Control staff to get attached to individual cases anyway. With nine field officers covering the Auckland isthmus 24 hours a day, seven days a week, I quickly discover they are constantly on the go. Before mid-morning we have already patrolled a central-Auckland park, answered a call-out to a shoe-stealing dog in Onehunga, talked to the owners of another serial barker in the same suburb, and reunited a stray golden retriever with its somewhat desperate owner. There is constant chatter over the RT (radio-telephone) in the bright red Animal Control van. Officers in another area are in hot pursuit of a roaming bullmastiff; across town there is a dog in traffic causing chaos; somewhere else another rogue dog is chasing buses and has harassed a pamphlet deliverer; an unregistered Staffordshire terrier has been collared in South Auckland. The RT is another one of the few tools that Animal Control officers have in their arsenal. It is used as a safety measure and this is the reason for most of the incessant radio talk. The field officers are constantly informing the base operators of their movements. Before entering a property they call in their location and plan of action, then let the operator know when the job is done. The protocol is strict – it’s the officers’ lifeline in case anything goes wrong, which it does from time to time. In February this year a Northland Animal Control officer was mauled and only escaped further injury because a police officer shot the attacking dog. Slade admits she has been bitten a number of times but shrugs it off as an “occupational hazard”. She says sometimes it isn’t the animals you need to worry about, but the owners. When she isn’t patrolling or investigating callouts from the public (or being abused by some of them), she is visiting kindergartens and schools across the city in an effort to educate children in how to deal with strange dogs, hopefully reducing attacks – a subject that seems to be in even greater demand of late. It is, obviously, such a topical issue because of the recent spate of dog attacks throughout the country. And although there have been adults among the recent victims, it is the pictures of the brutally injured children that have touched our hearts. The flurry of attacks started with Carolina Anderson on January 31. The dog ripped the skin from the seven-year-old’s face, down to the bone, and badly damaged her right eye. Four days later a four-year-old Christchurch girl had her nostrils torn off by a jack russell terrier. Like Carolina, this little girl now faces years of reconstructive surgery. A week after the Christchurch attack, a pitbull mauled a four-year-old in Lower Hutt, and the same day a five-year-old, Angel Daniels, was attacked by his aunt’s Staffordshire-terrier cross. Angel’s injuries were, quite simply, horrific and required 200 stitches. Two more dog-attacks on preschoolers followed several days later. And adding to the rapidly growing fright-factor are the reports that rampant packs of roaming dogs are stopping the mail getting through to homes in some parts of South Auckland. A wave of shock and condemnation has since spread throughout New Zealand and in some instances there have been backlashes directly against dogs and their owners. So is this state of hysteria justified? In New Zealand, A&E staff and general practitioners treat around 20 people each day for wounds inflicted by dogs and one person is hospitalised as a result of an attack. There is also a view that many other incidents go unreported. While many experts doubt that there has been any dramatic increase in the overall number of dog attacks over the years, recent events have certainly lifted the profile. Now, man’s best friend has become public enemy number one and there is widespread debate over how best to tackle the problem. Cruising through Auckland’s Cornwall Park, her eyes scanning the fields for errant canines, Slade says one thing the media has done is raise the awareness of dog owners’ responsibilities. Although we do two consecutive sweeps through the park, every dog we encounter is well tethered in its master’s grasp. “Dogs to be kept on a lead at all times,” read the signs – people are taking more notice than ever. “In parks, where you’ve got children and families, dogs running around off their leads are probably quite a concern for the general public. Owners are paying more attention to the rules now,” says Slade. The public have become more vigilant too, she notes, and will either inform the owner of their responsibility directly, or contact Animal Control. A $200 fine is usually enough to remind most owners of their obligations. Slade suspects the highly-visible Animal Control Services’ van patrolling the parks and suburbs not only reassures the public, but it also sets off the “ripple effect”, particularly in trouble spots with a history of complaints. “Better find your dog, mate. The catcher’s cruisin’ round after ‘im,” imitates my guide. But in today’s climate of fear even the most vigilant efforts of enforcement officers don’t seem to be enough. Dog control has become a political hot potato and added urgency has been put into the issue. Carolina Anderson’s father has become the figurehead for those pushing for tighter dog control laws. Recently he used photos of his daughter’s horrific injuries to show MPs in Wellington the true face of dog attacks. In the statement he says he is “unclear as to what steps [are] needed to prevent similar tragedies in future”, but widespread consultation with interested parties, including councils, the New Zealand Veterinarian Association, the New Zealand Kennel Club, and animal enforcement contractors, has since taken place. Though any decisions are yet to be finalised, changes to legislation are expected to include the banning of pitbulls, restrictions (possibly including mandatory muzzling) on other “dangerous” breeds, and giving local bodies greater power to enter private property and seize a dangerous dog. Kenneth Muir, governing director and founder of Animal Control Services, contractors to the Auckland City Council, represented the New Zealand Institute of Animal Control Officers on a working party investigating possible law changes. Yet, no matter what laws bureaucracy decides to draft, experts agree that effective dog control comes down to two basic principles: 1) understanding dogs, and 2) responsible ownership. So why do dogs attack? At her kindergarten guest appearance, Slade explains to 20 eager little faces that “they might attack out of fear, like if they’re approached too quickly or aggressively”. Dogs are also very territorial animals, and experts suspect that they may bite if they think they are protecting their area. But also, our four-legged friends are essentially domesticated wolves – genetically they are almost indistinguishable from their wild kin. The pack mentality is still rooted in every domestic dog and unless the animal’s owner acts as the hierarchical leader, it will assume the role – often with disastrous consequences. There is a saying among dog control officers: Show me 10 bad dogs and I’ll show you nine bad owners. Many experts believe the problem lies with man betraying the friendship, not the commonly implied antithesis. Slade says many people enter into dog ownership without knowing what is required of them. Muir agrees that like children, if they are not raised properly, dogs will go off the rails. He says there is no such thing as a ‘bad dog’ per se. Rather, they exhibit behaviours that can be directly attributed to a number of factors, for which owners must accept 100 percent responsibility. “There’s no doubt that there are bad dogs but it is almost certainly a result of how they’ve been conditioned, how they’ve been managed, and their environment,” he says. According to Muir, most of the problem dogs that Animal Control Services deal with are those that have not been registered by their owners, an offence that carries a $400 instant fine under the 1996 Dog Control Act. The company introduced New Zealand’s first ‘Dog Owner License Scheme’ and ‘the Good Dog Owner Campaign’ to encourage dog owners to take an interest in their responsibilities and to take part in the registration process. Predictably though, the scheme has failed in low socio-economic suburbs despite incentives such as reduced registration fees in return for attendance. “We certainly have a lot more problems in those areas,” admits Muir. An estimated 40,000 unregistered and unwanted dogs are destroyed each year in New Zealand – that’s roughly 5 percent of the 766,000 dogs we share our homes with. Many of these animals cannot be traced to their owners because they are unregistered. Others are simply forfeited because the owners no longer want the responsibility or refuse to the pay fines. While Animal Control officers can seize unregistered dogs if they are roaming the streets, they are not authorised to remove them from private property. Presently they can only issue (unenforceable) warning notices but under the proposed new legislation, Muir hints that this loophole is about to be tightened. Additionally, it will provide officers with greater powers to remove ‘dangerous’ dogs from private residences. But besides some sectors of the public, “breed specific” control is something that does not sit well with many of interested parties. The dog is a companion and working animal, it adds to the quality of life and also adds value to the country’s economy. We deplore people who breed/train dogs to fight, and our club actively regulates against savage dogs. Our focus is on the cause rather than the symptom. We support owner licensing and more community education. We do not support breed specific legislation. Muir agrees that breed specific legislation won’t work. He says dogs should be “judged on their deed – not on their breed”. “Nobody believes that’s the answer to the problem. The major problem with such legislation is the cross breeding and proving a dog’s lineage. Nobody supports it because of the hassles associated with it,” says Muir. He is also quick to point out that similar laws have failed elsewhere in the world that they have been implemented. A mass of dog attacks in Britain over a decade ago led to the introduction of the Dangerous Dogs Act, a move that essentially banned pitbull terriers. Has it lowered the incidence of dog attacks? Apparently it hasn’t, but perhaps the situation would be worse if nothing had been done. In 2000, a six-year-old boy was killed by two pitbulls whilst playing outside at his Hamburg primary school. The attack has lead the German Government to introduce a breeding and importation ban on four breeds of fighting dogs: the American Staffordshire terrier; the Staffordshire; the pitbull; and the bull terrier. There is now a “zero tolerance” stance on aggressive dogs – which many would argue makes sense – but “high risk dogs”, and even their owners, are forced to undergo a character test. 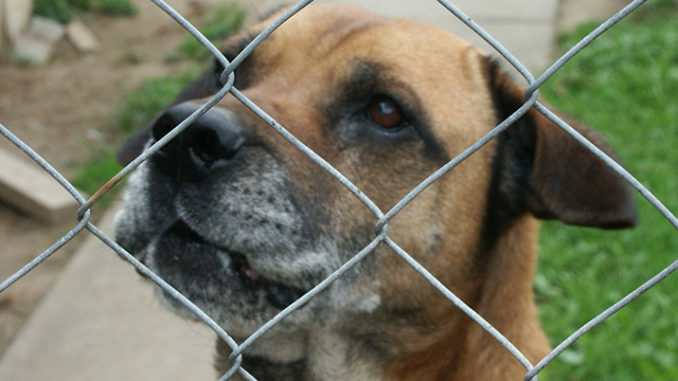 Many believe the “draconian” legislation will fail because unregistered owners and breeders will simply go underground. In the United States this is a major problem with a secretive, high-stakes, but highly illegal, dog-fighting movement. Here, dog owners are barking mad over the proposed new laws because, they say, decent citizens are being punished for the actions of the irresponsible. Animal Control Services has had a strong owner education focus since its inception almost 30 years ago and many believe that this is one of the best ways of dealing with the problem. Most groups also agree that a mandatory ownership licensing scheme, much like a driver’s license or vehicle registration, would prevent bad owners ever having their way with dogs. There will be definite changes to existing dog control laws announced very soon. Generally, offences under the 1996 Dog Control Act carry a $1,500 maximum fine. There are exceptions, for instance a serious attack on a person or protected wildlife carries a maximum court fine of $5,000 and/or three months imprisonment. The owners of the dog that attacked little Carolina received two months imprisonment and were ordered to pay $2,000 to the Anderson family. Muir is certain that the Government will increase penalties for the owners of dogs that cause serious injury. “Personally, I think it should be $25,000 and five years in jail,” he says. We will have to wait and see if his wish comes true but for some, like the handful of injured children, the changes won’t have come soon enough. For others though, the lawmakers who want to fast track changes to dog control legislation are simply barking up the wrong tree. To some it may seem quite ironic that the man called ‘Mad Dog’ is doing exactly what experts suggest people should do if they are ever attacked by a dog – stay still and don’t panic! Is the Government being too reactionary to the public’s emotional outcry? If so, then dogs and dog owners could be in for the mauling. It’s supposed to be a dog’s life – yet, how many pooches would agree? At the end of the day, it’s only when our canine companions attack that we fully understand that man’s best friend is not one of us.